Bruno's revolutionary TAS is a system that provides easy access to an automotive seat. For higher vehicles, this is accomplished by the seat rotating, coming out of the vehicle, down toward the ground. 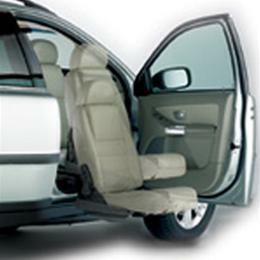 For lower vehicles, the seat simply rotates out over the door sill. In either situation, the seat is easy to access.